Due to government cuts, the benefits system is currently a hot topic. 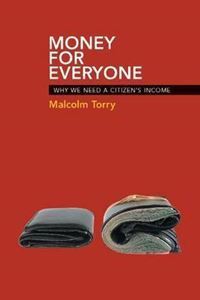 In this timely book, a Citizen's Income (sometimes called a Basic Income) is defined as an unconditional, non-withdrawable income for every individual as a right of citizenship. This much-needed, timely book, written by an experienced researcher and author, is the first for over a decade to analyse the social, economic and labour market advantages of a Citizen's Income in the UK. It demonstrates that it would be simple and cheap to administer, would reduce inequality, enhance individual freedom and would be good for the economy, social cohesion, families, and the employment market. It also contains international comparisons and links with broader issues around the meaning of poverty and inequality, making a valuable contribution to the debate around benefits. Accessibly written, this is essential reading for policy-makers, researchers, teachers, students, and anyone interested in the future of our society and our economy.